Jon Naar has enjoyed a long and prolific career in photography, in spite of a relatively late start; he made a professional switch from marketing in the 1960s, when he was in his 40s. Naar's photos, with their striking graphic composition and intense color, have captured an illusive, contemporary spirit ever since. A British transplant to New York and New Jersey, Naar is perhaps most known for his groundbreaking photographs of graffiti in 1970s New York City, although he is also well known for his images of design, architecture, fine arts and people (including Andy Warhol). 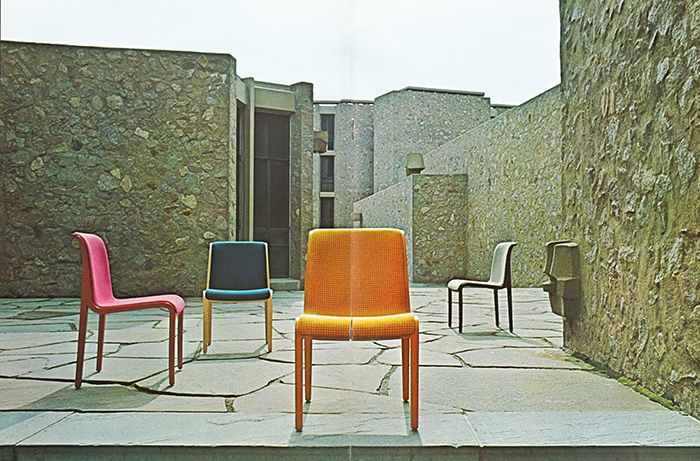 Naar contributed to a series of Knoll brochures in the 1960s and '70s. 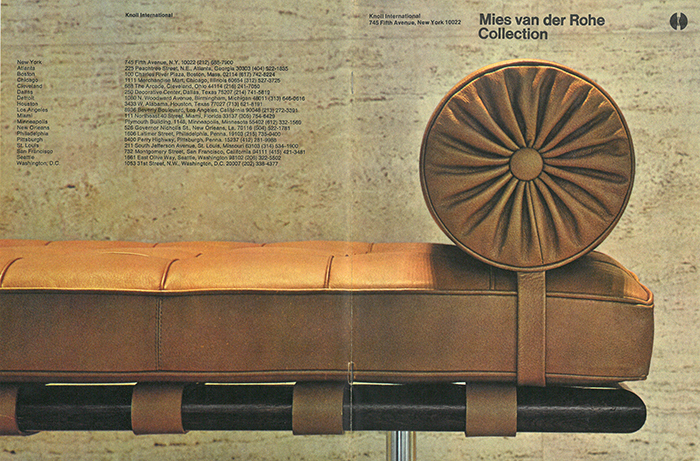 Below, he recounts a "photographic love affair" with the late Italian designer Massimo Vignelli, who sparked Naar’s fruitful relationship with Knoll when Naar was just beginning his brilliant career. I was lucky to have met Massimo at the outset of my career as a professional photographer, in 1966. He contacted me after seeing a photo-reportage I had done for Domus magazine entitled 'Sondaggio in Germania' on the then current state of architects, designers, and other members of what was known as Germany's Lost Generation. Massimo had recently been assigned to redesign the entire Knoll image, including logo, brochures, advertisements, and corporate identity. He said he liked my 'existential' – his word – lifestyle approach to photography that included a 1965 portrait of Andy Warhol relaxing on a red sofa in the Silver Factory. 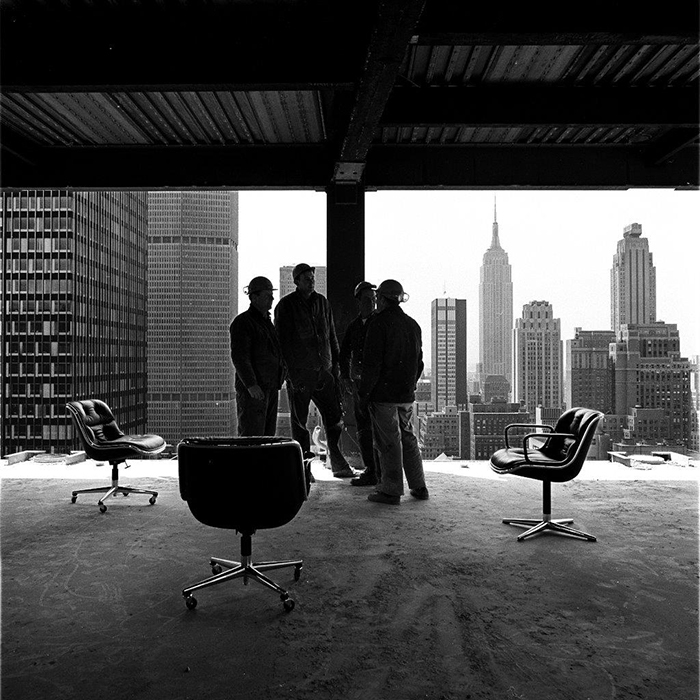 The first work we did together on Charles Pollock's Executive Chairs was based on an idea of mine: to put the chairs in an unfinished office of a skyscraper under construction with the caption, Our chairs are ready before your office is finished. Jon Naar's inaugural Knoll photograph, "Pollock Skyline." 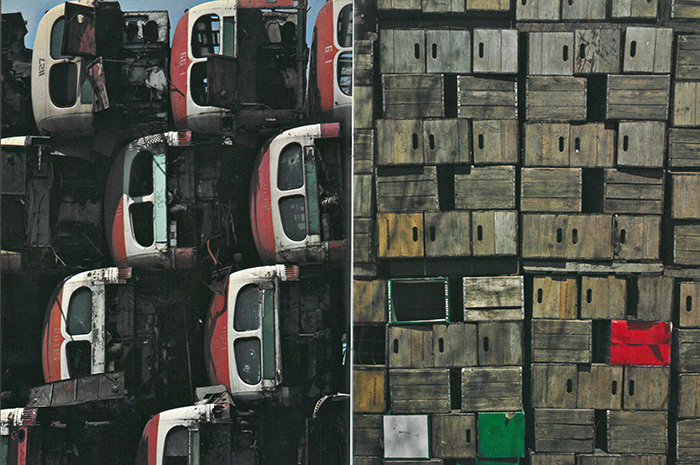 © Jon Naar, Alex Naar 1973, 2012. I didn't know then that Massimo was acrophobic, but he bravely accompanied me up the rickety external elevator to the 32nd floor of the building on East 52nd Street. As can be seen from the photograph, which was shot in black and white, I included four of the construction workers in my picture. Massimo liked it, but when he showed it to Knoll President Bobby Cadwalader, he was told that the image was "messy." Faced with this rejection, I was ready to resign from the assignment forthwith. But Massimo, ever the consummate diplomat as well as the consummate designer, prevailed on me to bear with him and take another shot. ... and, finally, to Marcel Breuer's house in New Canaan, Connecticut, for the Breuer Collection, where I caught his daughter Francesca seated on her namesake chair front-to-back. Except for the latter brochure, where he joined me in person, Massimo had such trust in me and his own superb graphic design skill that, as he said, he didn't need to look through the lens of my camera. 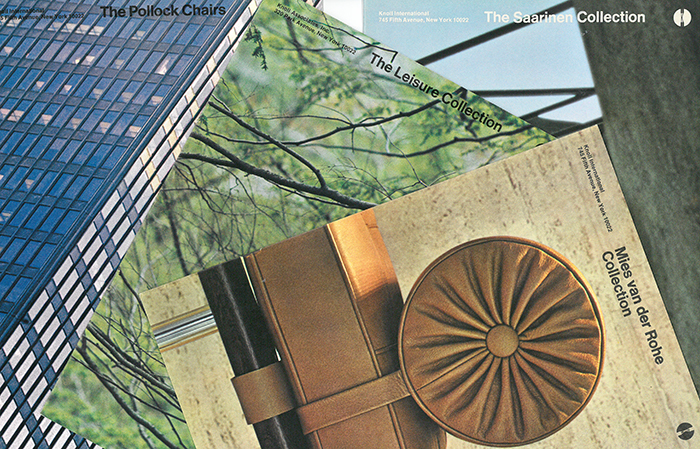 The brochures, advertisements, and promotion pieces I did with Massimo won a number of prestigious awards and, thanks to his generosity, led me to a wide range of assignments for IBM, Chase Manhattan Bank, SONY, and other clients. 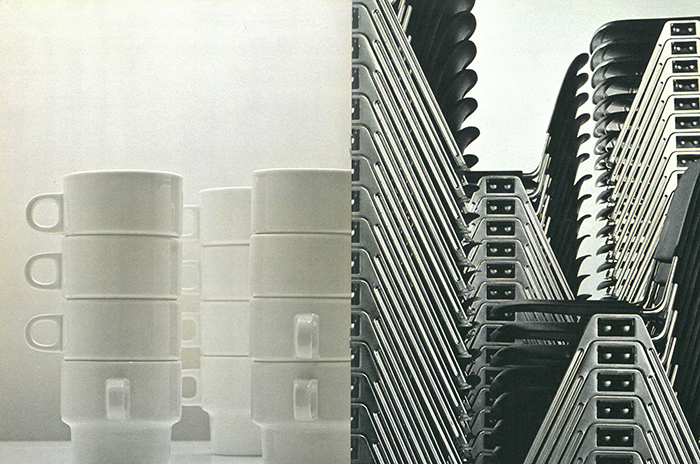 Knoll will host "Jon Naar's Photographic Love Affair with Massimo Vignelli," a panel discussion, on Thursday, September 18, 6:15 PM, at Knoll New York. Mr. Naar will be joined by Michael Bierut, Partner at Pentagram, and Suzanne Stephens, Deputy Editor of Architectural Record. 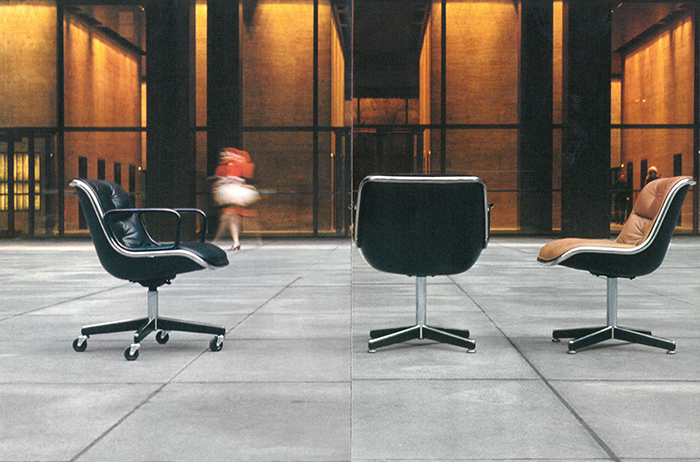 Images: With the exception of the photographer's portrait and "Pollock Skyline," all images are from the Knoll Archive and are photographed by Jon Naar, © Knoll International. Click here to explore Jon Naar's complete photography portfolio. 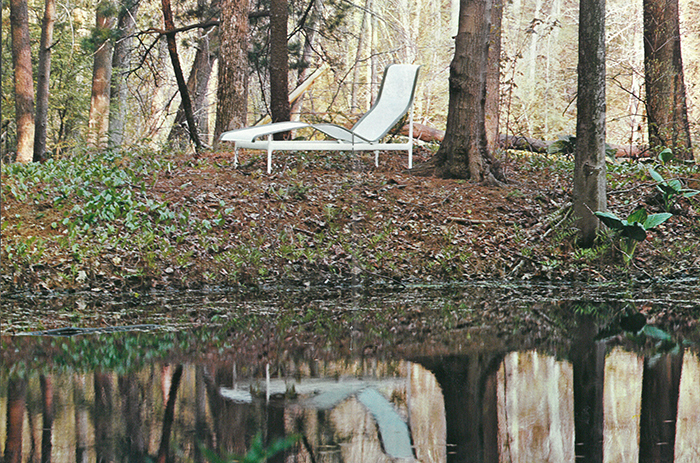 See Jon Naar's photographs of the Pollock Chair here. Read Jon Naar's profile in the New York Times.